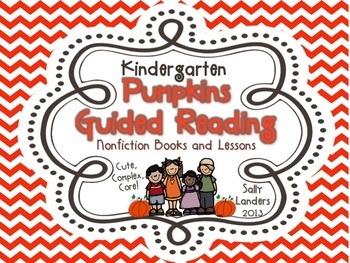 Pumpkins Guided Reading Pack! Common Core Nonfiction Unit! 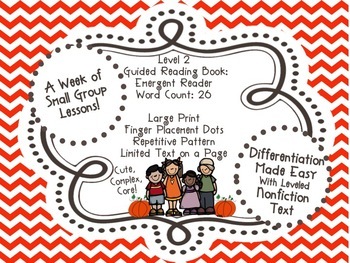 Have FUN with CONTENT and READING during your Small Group Instruction! 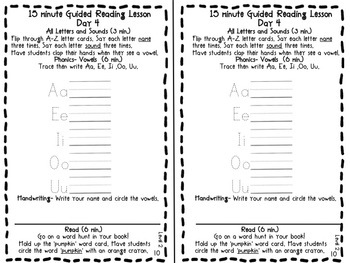 This Guided Reading Pack will help you differentiate your instruction! Students will develop comprehension, vocabulary and foundational skills at their level of need! *There is so much power in teaching students to write on the text in the readers. Students interact with the text by circling and highlighting the words; this makes the words “theirs” when they reread the text. *Having the lessons included with the book is a powerful tool to send home for parents. Parents will see how hard their child works during small group lessons. *Parents will be thrilled to listen to their little kinder READ the book and the book will surley be a treasured keepsake of their child’s journey of becoming a reader! Your kinders will have FUN as they develop content understanding and their ability to read nonfiction. This Pumpkin Nonfiction Unit will be the perfect addition to your Fall Unit, Halloween Unit or Thanksgiving Unit. If you have any questions, please email me at sallylanders01@gmail.com prior to your purchase. 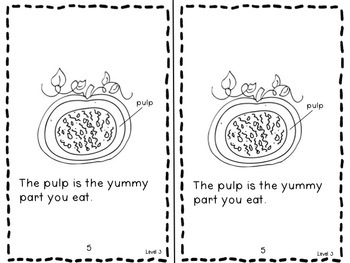 Have fun teaching your little pumpkins to READ!